Edition: 1st ed.Material type: Book; Format: print ; Literary form: Fiction ; Audience: Juvenile; Series: The underland chronicles ; 1. Publisher: New York : Scholastic Press, 2003Online access: Click here to access online Availability: Items available for loan: St Albans Library (1). Location(s): J COLLI. Edition: 1st ed.Material type: Book; Literary form: Fiction ; Audience: Juvenile; Series: Underland chronicles ; bk. 2. Publisher: New York : Scholastic Press, 2004Other title: Prophecy of Bane.Availability: Items available for loan: Sydenham Library (1). Location(s): J COLL. Gregor and the curse of the warmbloods / by Suzanne Collins. Material type: Book; Format: print ; Literary form: Fiction ; Audience: Juvenile; Series: Collins, Suzanne. Underland chronicles: bk. 3.Publisher: New York : Scholastic, 2005Other title: Curse of the warmbloods.Availability: Items available for loan: St Albans Library (1). Location(s): J COLLI. Gregor and the marks of secret / Suzanne Collins. Material type: Book; Format: print ; Literary form: Fiction ; Audience: Pre-adolescent; Series: Collins, Suzanne. Underland chronicles: bk. 4.Publisher: New York : Scholastic, 2007, c2006Availability: Items available for loan: Keilor Library (1). Location(s): J COLL. Catching fire [large print] / by Suzanne Collins. Material type: Book; Format: print ; Literary form: Novels ; Audience: Juvenile; Series: The Hunger Games ; 2. 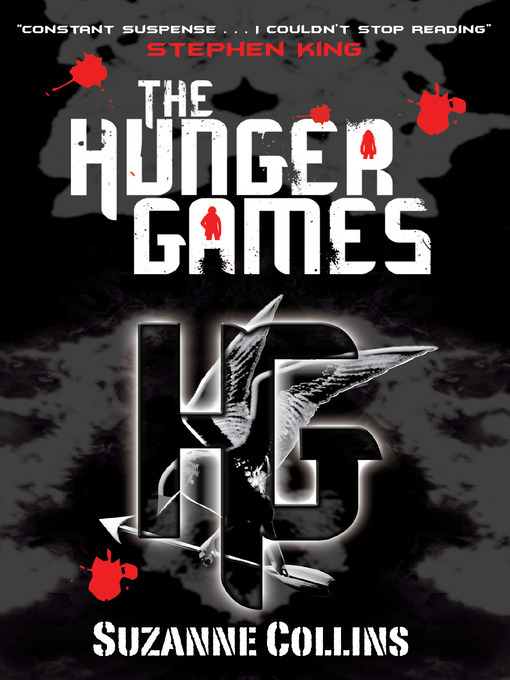 The Hunger Games ; 2.Publisher: London : Scholastic, 2009Availability: Items available for loan: Deer Park Library (DIY) (1), Sunshine Library (1), Keilor Library (DIY) (1), Sydenham Library (1). Location(s): T COLLI, T COLL, T COLLI, T COLLI. Gregor and the Code of Claw / Suzanne Collins. Edition: 1st ed.Material type: Book; Literary form: Fiction ; Audience: Pre-adolescent; Series: Underland chronicles ; bk.05. Publisher: New York : Scholastic Press, 2007Availability: Items available for loan: St Albans Library (1). Location(s): J COLL. Açlık oyunları / Suzanne Collins ; İngilizce'den çeviren: Sevinç Tezcan Yanar. Edition: 5. baskı.Material type: Book; Format: print ; Literary form: Fiction ; Audience: Adolescent; Publisher: İstanbul : Pegasus Yayınları, 2009Availability: Items available for loan: Deer Park Library (1). Location(s): Bilingual Picture Book TUR T COLL. Igre gladi / Suzanne Collins ; s engelskog prevela Maja Kostadinovic. Material type: Book; Format: print ; Literary form: Fiction Series: Biblioteka Neverland.Publisher: Sarajevo : Buybook, 2012Availability: No items available Issued (1). Edition: First edition.Material type: Book; Literary form: Fiction ; Audience: Juvenile; Publisher: New York, N.Y. : Scholastic Press, 2013Copyright date: ©2013Availability: Items available for loan: Sydenham Library (DIY) (1). Location(s): C.
by Kravitz, Lenny | Banks, Elizabeth, 1974- | Hemsworth, Liam, 1990- | Lawrence, Francis | Lawrence, Jennifer, 1990- | Harrelson, Woody | Sutherland, Donald, 1935- | Beaufoy, Simon | Wright, Jeffrey | Hutcherson, Josh | Howard, James Newton | Tucci, Stanley | Kilik, Jon | Arndt, Michael D | Jacobsen, Nina, (Producer) | Hoffman, Philip Seymour, 1967-2014 | Collins, Suzanne. Catching fire. Material type: Visual material; Type of visual material: videorecording ; Audience: Adult; Distributor: Australia : Roadshow Entertainment, Copyright date: ©2014Other title: Catching fire | Hunger games 2.Availability: Items available for loan: Keilor Library (1). Issued (2). Location(s): H.
by Lawrence, Francis | Lawrence, Jennifer, 1990- | Collins, Suzanne. Hunger Games | Hemsworth, Liam, 1990- | Strong, Danny, 1974- | Craig, Peter, 1969- | Sutherland, Donald | Kilik, Jon | Hutcherson, Josh | Jacobson, Nina. Material type: Visual material; Type of visual material: art original ; Audience: Adult; Distributor: Australia : Roadshow Entertainment, Copyright date: ©2014Other title: Mockingjay part 1.Availability: Items available for loan: Sunshine Library (DIY) (1). Issued (4). Location(s): DVD HUNG. by Strong, Danny, 1974- | Craig, Peter, 1969- | Jacobson, Nina | Hutcherson, Josh | Kilik, Jon | Sutherland, Donald | Hemsworth, Liam, 1990- | Collins, Suzanne. Hunger Games | Lawrence, Jennifer, 1990- | Lawrence, Francis. Material type: Visual material; Type of visual material: videorecording ; Audience: Adult; Distributor: Australia : Roadshow Entertainment, Copyright date: ©2015Other title: Mockingjay part 2.Availability: Items available for loan: Sydenham Library (DIY) (1), Keilor Library (1), St Albans Library (DIY) (1). Issued (2). Location(s): H, DVD HUNG. by Lawrence, Jennifer, 1990- | Collins, Suzanne. Hunger Games | Ross, Gary, 1956- | Hutcherson, Josh. Material type: Visual material; Type of visual material: videorecording ; Audience: Adult; Distributor: [Pyrmont, N.S.W.] : Roadshow Entertainment [distributor], 2013Copyright date: ©2012Availability: No items available Issued (1). The hunger games [electronic resource] : The Hunger Games Series, Book 1. Suzanne Collins. Material type: Book; Format: electronic available online ; Literary form: Fiction Series: The Hunger Games.Publisher: 2012Online access: Click to access digital title. | Excerpt Sample | Image Large cover image | Thumbnail Thumbnail cover image Availability: Items available for reference: Web [Call number: OVERDRIVE] (1). Location(s): OVERDRIVE. 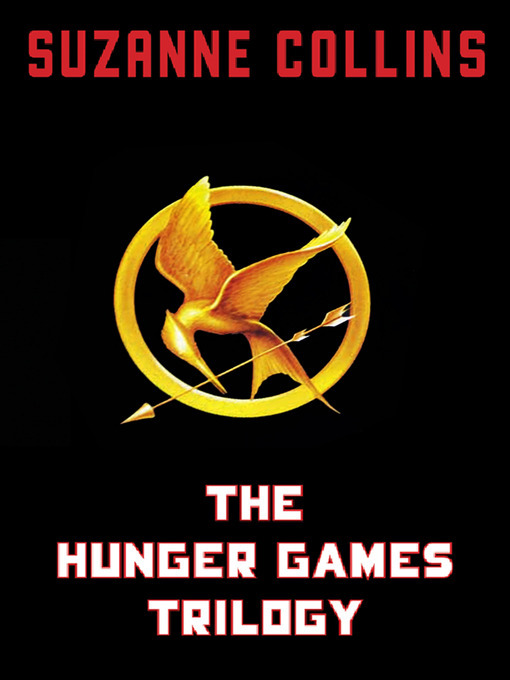 The hunger games trilogy [electronic resource] : The Hunger Games; Catching Fire; Mockingjay. Suzanne Collins. Material type: Book; Format: electronic available online ; Literary form: Fiction Series: The Hunger Games.Publisher: Lisarow : Scholastic Press, 2012Online access: Click to access digital title. | Excerpt Sample | Image Large cover image | Thumbnail Thumbnail cover image Availability: Items available for reference: Web [Call number: OVERDRIVE] (1). Location(s): OVERDRIVE. Material type: Book; Format: print ; Literary form: Novels ; Audience: Juvenile; Series: The Hunger Games ; 2.Publisher: London : Scholastic, 2011Availability: No items available Issued (2). On reserve (1).